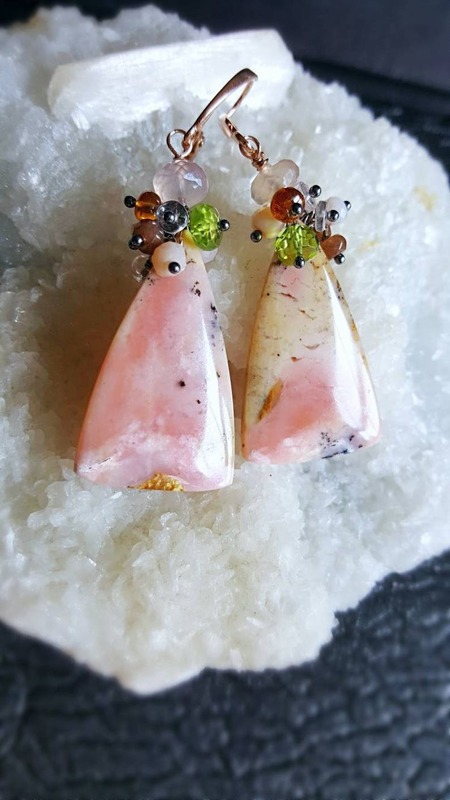 Natural Pink Opal is such pretty gemstone, these earrings feature fan shaped smooth polished that gleams.. You'll appreciate the unique character of this gemstone, the prettiest shade of pink the marbling of beige and specs of black. 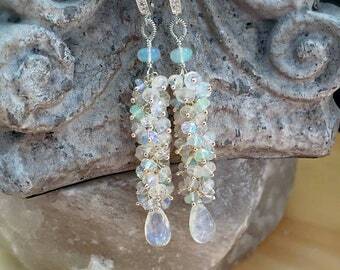 The cluster compliments the opal with peridot, hessonite garnets and mystic rose quartz. For metal contrast the gemstones in the cluster is wire wrapped with oxidized silver headpins, the focal stones and earwires are rose gold filled. Your earrings will be beautifully wrapped and carefully packaged for safe shipping. All items in this shop are the original designs of Jewels To Treasure ltd. 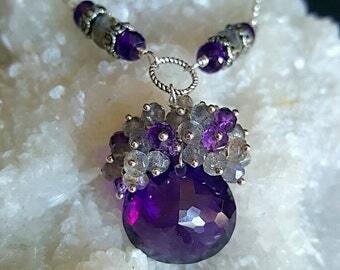 Handmade Jewelry by Kathy Cancel 2017. 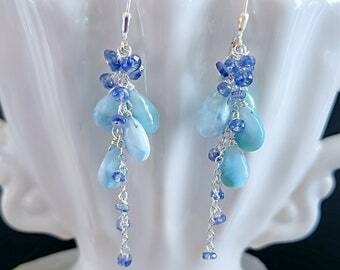 Beautiful earrings, thank you for the gold fill ear wires, thank you for being accommodating, love the earrings, thank you!